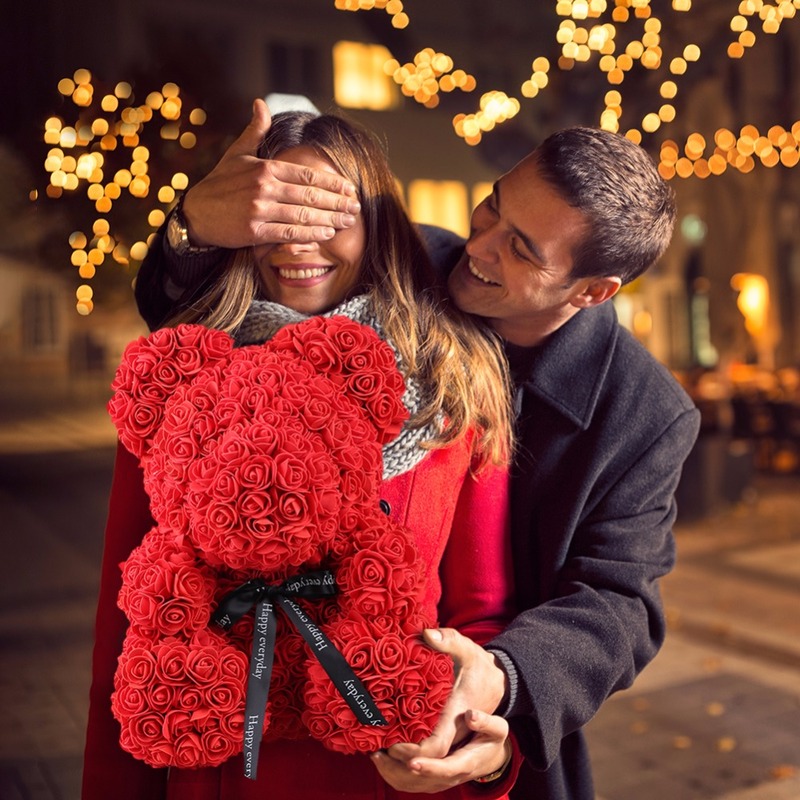 Give the one you love a gift made of roses 🌹 that will last forever! A gorgeous decorative teddy bear made of soft synthetic roses in a romantic red color. The perfect gift that will look great as a decoration piece in your loved one's home or office. Made with roses, these custom-made bears last a lifetime with no care needed! The best gift for Anniversaries, Valentine's Day, Weddings, Birthdays, and other occasion that warrants such a unique and precious gift. Perfect present for Valentine's Day, Anniversary or you're any Special day for your love. My wife like to collects Teddy bear and I think this one will be perfect! This is absolutely beautiful bear that I never seen this before. My lovely girlfriend will surely like this!